Home made diced potatoes and chick peas smothered with whipped yogurt and tangy tamarind sauce. Deep-fried chicken wings, not in a spicy sauce. Fried tender pieces of chicken marinated in herbs and spices. Gluten free. French fries cooked with bell peppers and traditional chilli hot sauce. Potatoes cut into strips and deep fried. Homemade wheat chips, diced potatoes and chick peas smothered with whipped yogurt and tangy tamarind sauce. Thinly sliced onions, lightly deep fried in chick peas batter. Gluten free. Mixed vegetable fritters cooked in chick peas flour batter. Gluten free. Traditional triangular patties stuffed with potatoes and peas. Two to an order. Shrimp marinated in spiced yogurt and fried. Gluten free. Iceberg lettuce with cucumber, tomatoes, carrot and onion in home made yogurt dressing. Delicious lentil soup with mild spices, garnished with rice. Dry mustard green soup with soybean. Leavened whole wheat bread baked in the tandoor, multi layered whole wheat bread. Naan stuffed with keema (grounded meat). Basmati rice flavored with saffron, cooked with carrots, peas, cauliflower and tomatoes. Basmati rice flavored with saffron, cooked with mildly spiced chicken in an aromatic combination of spices. Succulent lamb cubes cooked with nuts, eggs and exotic spices with basmati rice. Jumbo shrimp marinated in yogurt, tomatoes, herbs and spices and cooked with basmati rice. Basmati rice flavored with saffron, cooked with combination of vegetables, chicken, lamb, shrimp, saffron, carrots, peas, cauliflower and tomatoes. Appetizer: vegetable pakora. Tandoori chicken, chicken tikka and seekh kabab from the tandoor. Lamb or chicken curry with pilau rice, naan bread, daal and vegetable of the day - a feast for two. Please contact to merchant for selection of the vegetable. A combination of platter of tandoori specialties, including tandoori chicken, tandoori shrimp, seekh kabab and chicken tikka served with naan bread and vegetable of the day. Please contact to merchant for selection of the vegetable. Chicken cooked with bell pepper, onion, soy sauce, ketchup and jalapeno, slices in an Indo-Chinese style. Very mildly spiced chicken flavored with coconut and simmered in yogurt and nuts. Chicken with potatoes in a tangy sharp sauce. Boneless chicken cubes cooked with garam masala, green peppers and tomatoes in a wok. Pieces of chicken cooked with fenugreek, onions and spices. Boneless chicken cubes barbecued first in the tandoor and then cooked in a tomato based sauce with green peppers and masalas. Chicken cooked with an exotic blend of curry spices, onion, garlic, ginger and tomato with a medium thick sauce. Curried chicken cooked with spinach. Ground lamb cooked with green peas, freshly ground herbs and spices, blended with onions, tomatoes, ginger and garlic. Pieces of lamb cooked in a curry based sauce. Tender cubes of lamb cooked in creamy almond sauce, flavored with saffron. Lamb cubes cooked with garam masala, green peppers and tomatoes in a work. Hot and spicy recipe with boneless lamb and potatoes cooked in a tangy sauce. Succulent cubes of delicious lamb in a spinach based curried sauce. Tender morsel of lamb cooked with saffron, yogurt and spices. Fish fillet cooked with coconut, tomatoes and an array of masterfully blended spices. Fish fillets cooked with lemon juice in a mildly spiced gravy. A hot and spicy recipe of shrimp. Jumbo shrimp cooked with onions, green peppers with cumin, black cardamon and cinnamon in a well seasoned sauce. Shrimp cooked with bell pepper, onion, soy sauce, ketchup and jalapeno slices in an Indo-Chinese style. Cauliflower and potatoes cooked with onions and spices. Check peas cooked with spinach curry. Mixed vegetables cooked in highly spiced curry with a touch of lemon. Lentils cooked with mild spices. Tandoor roasted eggplant sauteed with onions and cooked with a special blend of Indian spices. Green peas and paneer cooked together into a delicious gravy. Homemade cheese cooked with bell peppers, onion, soy, sauce, ketchup and jalapeno slices in an Indo-Chinese style. Combination of mildly spiced mixed vegetables with nuts. Vegetable and cottage cheese dumplings simmered in a sauce made of tomatoes, onions, garlic, fresh herbs and spices. Fresh farmer's cheese cooked in a flavorful spinach curry. Homemade cheese cooked in masala sauce. Potatoes cooked with fenugreek and freshly ground spices. Okra cooked with onions and delicious tangy spices. Served with coconut sauce. Lean and thin rice and lentil flour bread wrapped with potatoes and mixed vegetables stuffs. Chicken peas cooked with potatoes into a spice sauce. Sun dried fried lentil crackers. Lamb prime rib marinated in ginger, garlic, yogurt, touch of fresh lemon and Indian spices skewered and cooked in the clay oven. Marinated salmon cubes barbecued in the tandoor and served with rice and curry sauce. Tender lamb cubes marinated in yogurt, ginger, garlic and herbs, then cooked in the charcoal clay oven. Served with rice and curry sauce. Scrumptious jumbo shrimp marinated in an exotic blend of Indian spices, then cooked on skewers in the tandoor. Boneless chicken grilled and marinated, served in a spicy creamy sauce. Ground lamb blended with a special mix of spices and cooked on skewers in the clay tandoor oven. Delicious boneless marinated chicken cooked in the clay tandoor oven. Chicken on the bone, marinated overnight in the clay tandoor oven. Chicken chhoila (traditional grilled chicken) served with roasted soya beans (bhatamas) and beaten rice (chiura) with white radish pickle (mula ko achar) or wild black pepper pickle (timur ko achar) is very popular in Kathmandu and around. Served cold. Sekuwa is a skewered chicken BBQ marinated in a blend of Himalayan herbs and spices. Its marinated with this sauce over night and roasted. Served with beaten rice (chiura) and tomato pickle (achar). Momo is a type of steamed dumplings. 8 pieces. Dumpling with soup. Momo is a type of steamed dumplings. 8 pieces. Dumpling with spicy chili sauce. Momo is a type of steamed dumplings. 8 pieces. Traditionally and popularly known as "daal-bhat-tarkari". 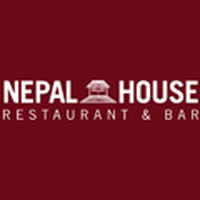 the deluxe food gives you a complete innovative Nepalese cultural touch. Out thalis are the complete meal on a plate and come with a serving of boiled rice (bhaat) or porridge (dhindo), choice of curry (goat or chicken), mixed lentils (daal), spinach (saag) and wild black pepper pickle (timur achar). Aromatic and spicy Indian tea (Indian chai). Traditional Indian style ice cream made from thickened milk with taste of mango and pistachios.